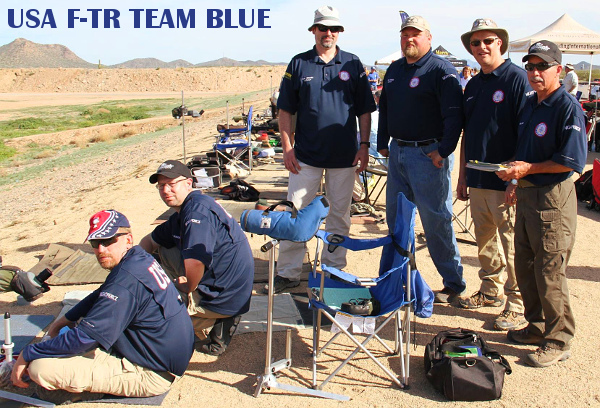 Breaking news from Ben Avery — the U.S. FT-R Team Blue, consisting of Phil Kelley, Dan Pohlabel, Derek Rodgers, Matt Schwartzkopf, and coach Jim Crofts, won the F-TR team event at the Berger Southwest Nationals. The “Blues” scored an impressive come-from-behind victory, finishing at 784-24X on Team Day 2 to secure the overall Berger SWN F-TR Team Championship. Well done gentlemen. Show in the photo, left to right are: James Crofts, Derek Rodgers, Ray Gross, Matt Schwartzkopf, Phil Kelley, and Dan Pohlabel. 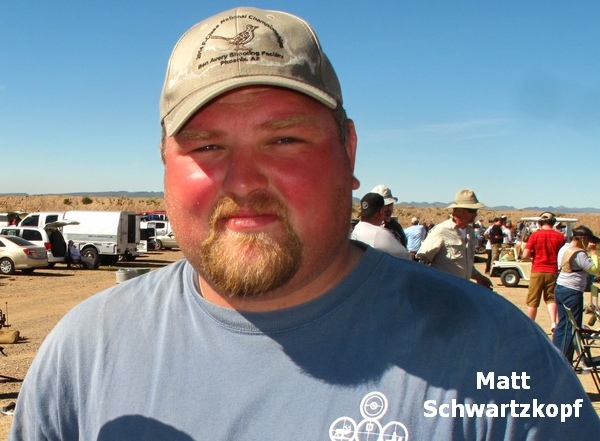 Team member Matt Schwartzkopf is a double amputee below the knee, having had his lower legs removed due to a birth defect. Matt is an inspiration to us all. He told us: “This condition has not held me back from anything.” Jokingly, he added, “I may not have ‘a leg to stand on’, but that doesn’t mean I can’t still shoot 10s and Xs at 1000.” Matt is living proof that competitive shooting is a sport for all individuals — young and old, able-bodied and physically challenged. Share the post "U.S. Team Blue Wins F-TR Title at Berger SW Nationals"
Over the years, many different concentricity tools have been on the market. Various approaches have been taken to straightening rounds that exhibit poor concentricity. With extreme examples of excessive run-out, the bullet is is visibly crooked in the neck with the bullet tip clearly off-center. That’s never a good thing. Straight ammo shoots better. If you could straighten up crooked rounds, accuracy should be improved. In the past, some tools promised more than they delivered. But now Bill Goad, a record-setting benchrest shooter, has invented a new tool that improves concentricity via an impact or “jarring” method. A vertical rod with a curved face mates with the case-neck. You spin the case to find the “high spot” of max eccentricity. Then just tap the rod a couple of times and the neck comes back onto centerline. You can then confirm the concentricity improvement with the dial indicator. Watch the video to see how this is done. Pay particular attention to times 01:25 to 01:45. The case starts at .004″ run-out (01:32). After correction (01:40) the neck shows less than .001″ (one-thousandth) run-out. 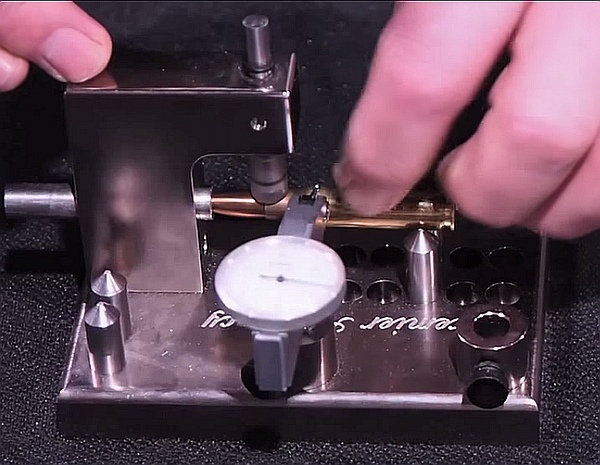 Benchrest ace Bill Goad demonstrates his innovative Fli-Right Concentricity gauge tool. It works differently than other concentricity enhancers on the market. Bill Goad knows something about accuracy. 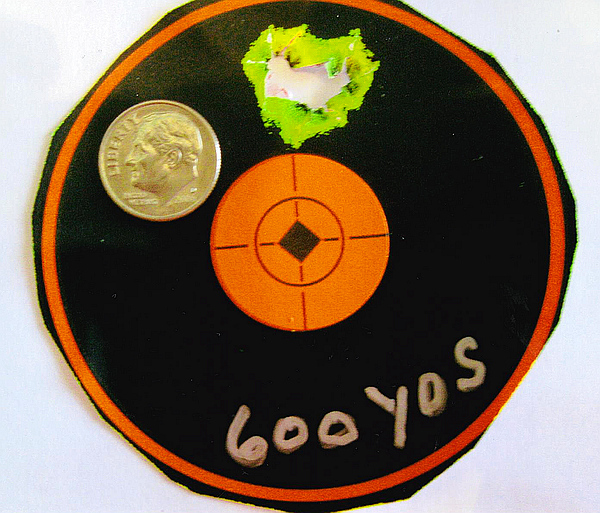 He shot a 10-target 100/200 benchrest Combined Aggregate of 0.178″ (see video at 00:15-00:35). Bill Goad’s tool offers advantages over systems that clamp a cartridge at both ends and try to bend the case or tilt the bullet without straightening the neck. Goad’s new Fli-Right tool is available now from PremierAccuracy.com. Share the post "Bill Goad Concentricity Gauge Works by Impact"
Competitors at the 2015 Berger Southwest Nationals were treated to something special on Saturday morning. After a short address by Eric Stecker, fireworks boomed from downrange and a flight of three warbirds streamed overhead, trailing smoke. Watch these dramatic moments in the video below. 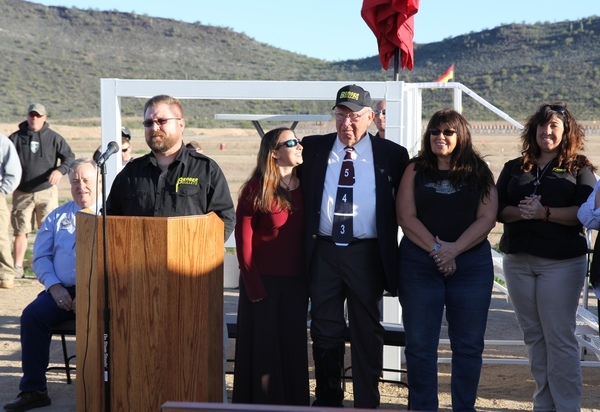 This ceremony marked the dedication of Ben Avery’s 1000-yard range as the Middleton Tompkins Range. With his family by his side, Mid was recognized for his achievements in the shooting sports and his decades of service. 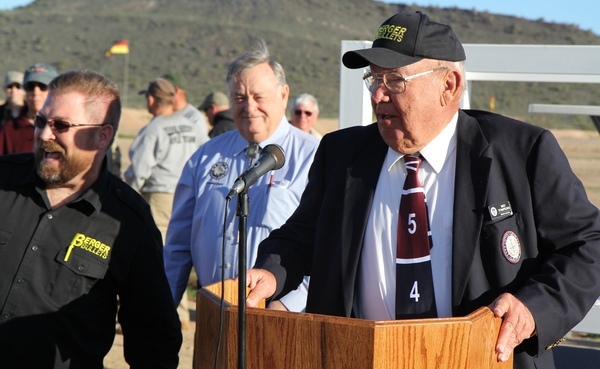 This was a heart-warming event honoring Mid, a six-time National High Power Rifle Champion, and the leading member of America’s first family of shooting. Wife Nancy Tompkins and step-daughters Sherri Jo Gallagher and Michelle Gallagher have all been National rifle champions (High Power and/or Long-Range). This was an emotional day for Mid — he revealed to us that this was certainly one of the greatest highlights of his life. Berger President Eric Stecker speaks at range dedication ceremony. Mid Tompkins stands with his family members Sherri Jo Gallagher (to Mid’s left), wife Nancy Tompkins, and Michelle Gallagher. Along with the dedication of the 1000-yard range, a ribbon-cutting ceremony was held for the new multi-purpose facility at Ben Avery. Situated at the 1000-yard range, this facility was constructed with $420,000 in funding from Berger Bullets and Nightforce Optics. Mid Tompkins cut the red ribbon on the facility’s front doors, officially opening the multi-purpose center for public use. Mid jokes with the crowd, showing his quick-witted sense of humor. In the video below, we interview past NRA President John Sigler. An avid long-range shooter himself, John is the current chairman of the NRA High Power Committee. John was at Ben Avery this week competing in the F-Open Division. John says that the emergence of the F-Class discipline has extended his competitive shooting career. 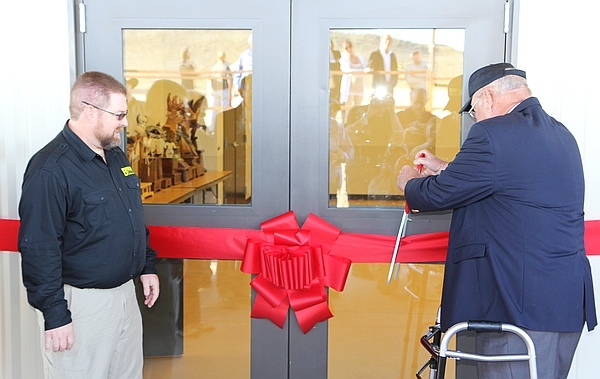 He had high praise for the Ben Avery Range and the new multi-purpose building dedicated on February 14th. Share the post "Ben Avery Range Dedicated to Mid Tompkins Plus New Building"